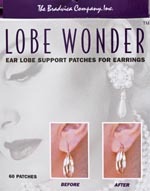 Lobe Wonder ..... A clear patch that is applied to the back of the ear lobe. Undetectable, hypoallergenic, flexible and light. 60 patches per box. May be worn with all types of earrings - studs, hoops, dangles, etc. When pierced by an earring, the patch bears a major part of the earring weight, relieving the ear lobe of the pressure. Allowing women with torn piercings to wear earrings at the top of the hole and protects against further tearing. 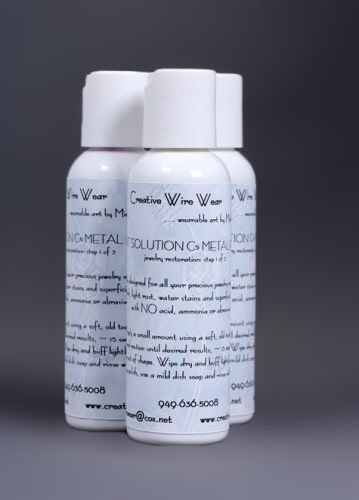 Also protects healthy ear lobes from tearing and allows women to wear earrings in comfort for longer periods of time. Strong enough to support heavy earrings. 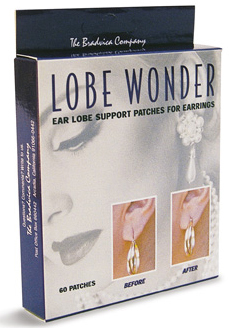 The adhesive used on Lobe Wonder is hypoallergenic. 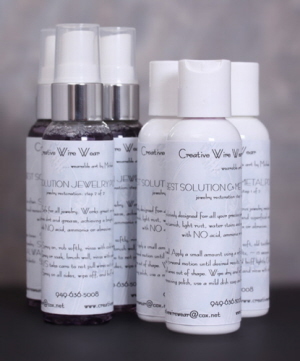 Removing Lobe Wonder at night and cleaning the ear lobe prevents adhesive residue on the skin. Lobe Wonder is original, and its design is patented in Patent No. 5,537,841. The patches and packaging are made in the USA. 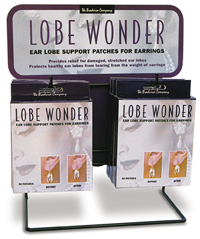 Creative Wire Wear is now a distributor of Lobe Wonder for the Bradvica Company.